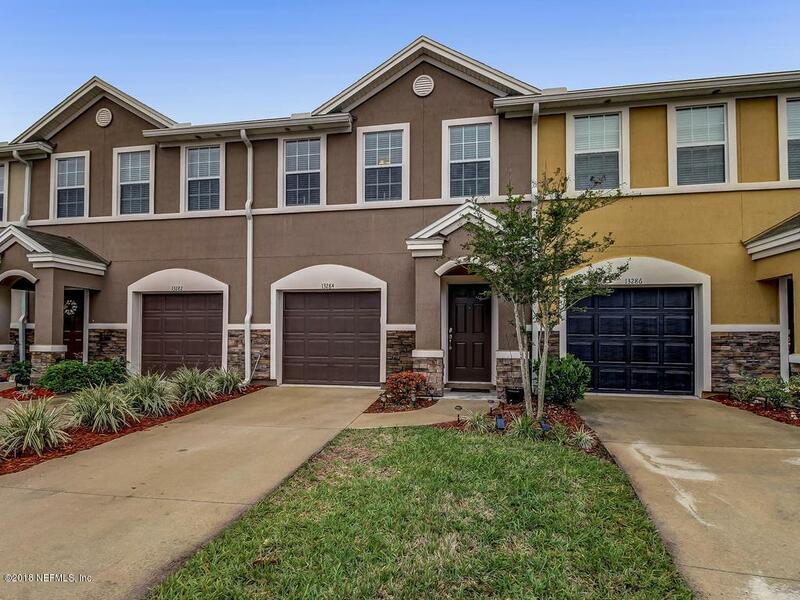 Enjoy the Verano lifestyle in this picturesque, one owner, 3/2 townhome w/ garage, barely 5 years old, in the newest phase in the community. Upgrades galore including oversized tile flooring downstairs, Stylish custom kitchen has 42'' white cabinets, designer black granite countertops & undercounter stainless sink,upgraded fixtures & breakfast bar. Appliances include stainless refrigerator, microwave, range & dishwasher.Living room and cafe' style dining area peacefully overlook a screened patio and yard.Upstairs the private & spacious master suite & bathroom has dual vanities, large soaker tub, & jumbo closet. 2nd & 3rd bedrooms are roomy with plenty of storage.All bedrooms have ceiling fans.Verano is a gated resort style community near shopping,hospitals and dining.Extra long driveway allows for additional car to be parked at the residence, so less need for your guests to use overflow parking.